A modernist Gary church has been listed on the National Register of Historic Places, capping a year-and-a-half long effort by the congregation to win recognition for its architecturally-daring building. St. Augustine&apos;s Episcopal Church at 19th and Ellsworth is Gary&apos;s first postwar National Register listing. The church received word this month from the National Park Service—keepers of the register—that the building made the list. 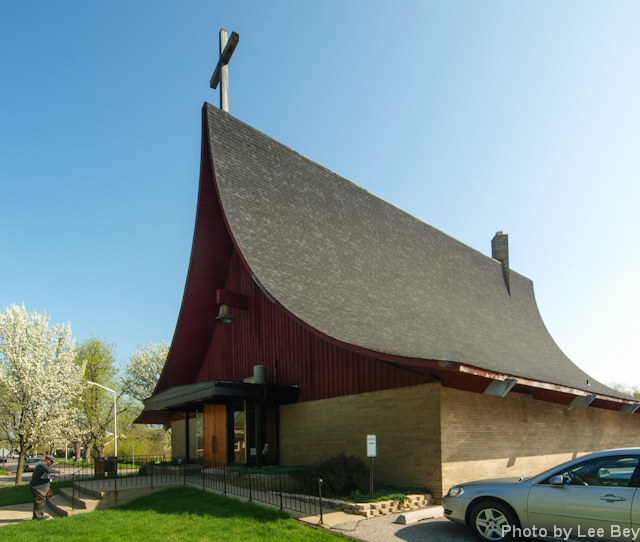 Designed by Chicago architect Edward D. Dart and built in 1958 for an African American congregation, the church was cited for having "noteworthy iconic stylistic hallmarks of the modern movement." Congregation member Paula DeBois led the effort to get the church listed. Dart, a white North Shore architect working with the black professional congregation in Gary is a "very unique and compelling American story" she said when the campaign began in 2012. Dart designed about 100 buildings and churches including St. Procopius Abbey in Lisle and First St. Paul&apos;s Evangelical Lutheran Church at 1301 N. LaSalle. He was also responsible for scores of modern suburban Chicago homes. Dart was a partner at what was then Loebl Schlossman Dart & Hackl and designing Chicago&apos;s Water Tower Place when he died in 1975 at age 53. 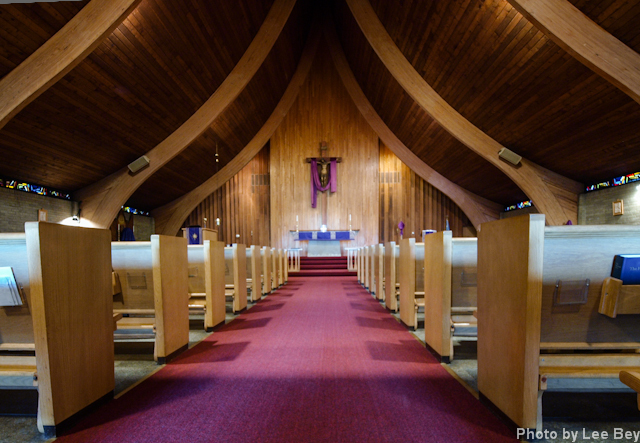 On a tight budget of less than $100,000, Dart gave St. Augustine&apos;s congregation a striking piece of architecture. He used brick, red oak and redwood—and then there is that remarkable, curved tent-like roof with exposed beams. The National Register listing also gives a nod to Richard Johnson, Sr., who was a member of the congregation and the project&apos;s structural engineer. 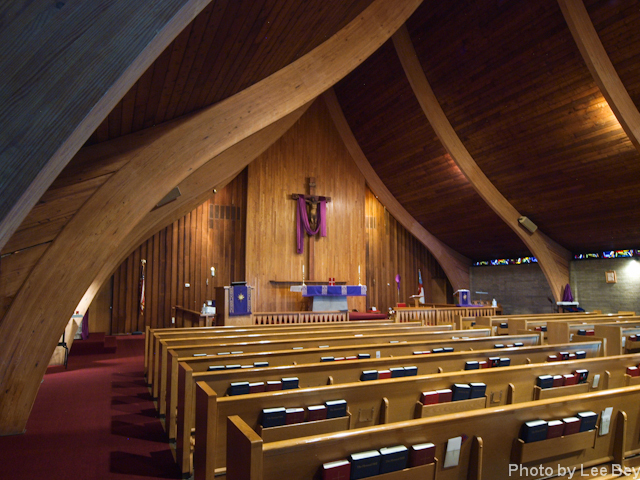 The National Register listing also notes St. Augustine&apos;s is Gary&apos;s only postwar modern church structure. And the recognition shines a little more light on the work of Dart, whose buildings have often been torn down too soon. A 1953 home he designed in Wheaton was demolished recently. Dart&apos;s Emmanuel Presbyterian Church, 1850 S. Racine, was wrecked in 2007. And his 1972 addition to the Lorado Taft Midway Studio on the University of Chicago campus was razed in 2009 to make way for the Logan Center for the Arts.